Just who is Jared Kushner, now that he’s basically running the country? 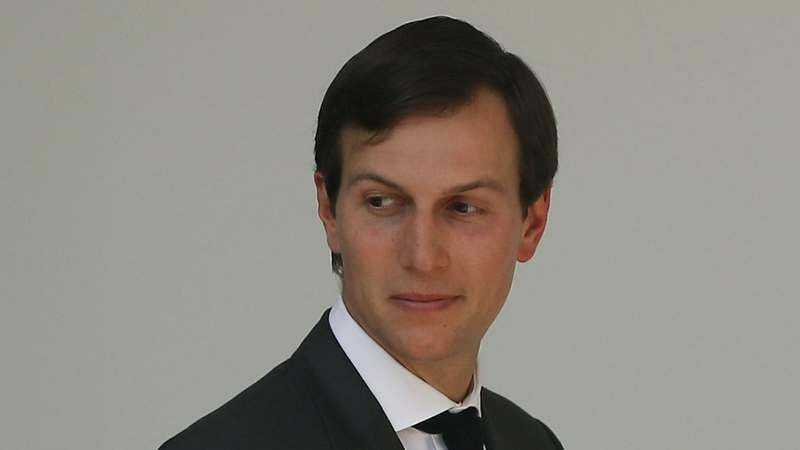 Like his wife, Jared Kushner just got a fancy new title—White House Senior Advisor—and has been tasked with many new responsibilities for the country, like heading the new Office Of American Innovation, as well as becoming the liaison for ambassadors from several world regions. Oh, and Trump would like him to clear up that whole Middle East matter, maybe get the papers on his desk by next Tuesday, that’d be greeaaaaat. So who is this (unelected) guy anyway? If he and Ivanka are supposedly more liberal, shouldn’t we breathe a little easier in this refuse-strewn White House knowing that he’s around? Yes and no, according to a new Nerdwriter video on “The Mystery Of Jared Kushner.” The video basically just tries to parse out how Jared Kushner might feel about certain issues, since we don’t know much about him. He was born into a wealthy family; his grandparents were Holocaust survivors. He was traditionally a Democrat, but some of those leanings changed when he glommed on to a few mentors, like his father-in-law and Rupert Murdoch. Murdoch was particularly helpful for the young scion because besides his real estate holdings, Kushner also owns the New York Observer, an instrument he’s used to defend Trump policy. So while we hope that his youth and previous liberalism might help stem the rising tide of restrictive conservatism in the White House, we also learn in the video that Kushner is fiercely loyal, especially to family. It’s why he got Chris Christie ousted from the Trump team—Christie was the prosecutor who put Kushner’s father in jail. Trump has said that he absolutely trusts Kushner, which probably doesn’t bode well for the rest of us. But these are all mere scraps of information. The rest is hidden in the riddle wrapped in the enigma of who might be the most influential person in the world right now.